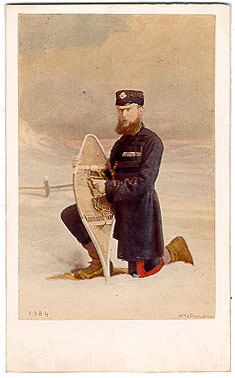 CDV #5384 is Capt. Hon. Wenham Clarence Walpole Coke, taken in Montreal, in 1863. His full identification is Captain Honourable Wenham Clarence Walpole Coke, of the Scots Fusilier Guards, British Army.